Condé Nast Reader’s Choice Awards Names Boracay, Cebu and Palawan as Top 3 Best Islands in the World! 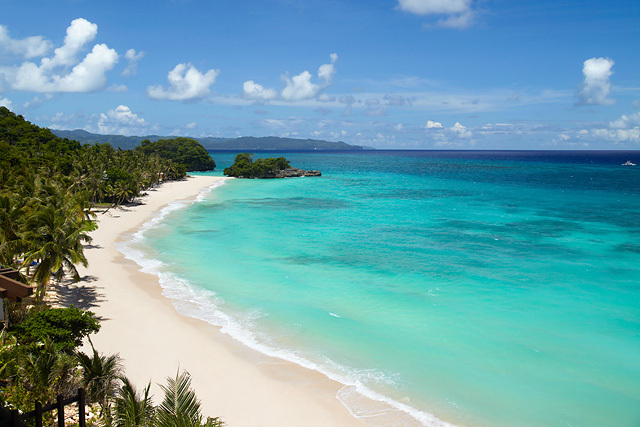 Once again, the Philippine Islands of Boracay, Cebu and Palawan are the best in the world! More than 300,000 travellers took part in the magazine’s 2017 Reader’s Choice Awards. “This itty-bitty island (just under four square miles) in the Western Philippines is as close to a tropical idyll as you’ll find in Southeast Asia, with gentle coastlines and transportive sunsets. Fold in a thriving nightlife scene, and you have one of the top tourist spots in the region,” the publication said. Boracay has gained many accolades and has been constantly enjoying the title of the best beach and best island over the years. This only goes to show that the island’s charm still continues to capture the hearts of its visitors. Not far behind at number 2 and 3 positions are Cebu and Palawan, respectively, putting the Philippines’ on a pedestal having the most gorgeous islands available and accessible for everyone’s enjoyment. Check out more about CNT Reader’s Choice Awards. Every November the world comes to Excel, London, to congregate in one of the biggest travel showcase and business to business meetings in the world. Over three days, exhibitors, sellers and buyers will network and conduct business that will generate billions worth of contracts. The travel industry comprising of destinations, hotels, airlines, tourist boards, travel technology, the private sector, media, key travel industry officials and more will network and project the travel trends for the coming years. 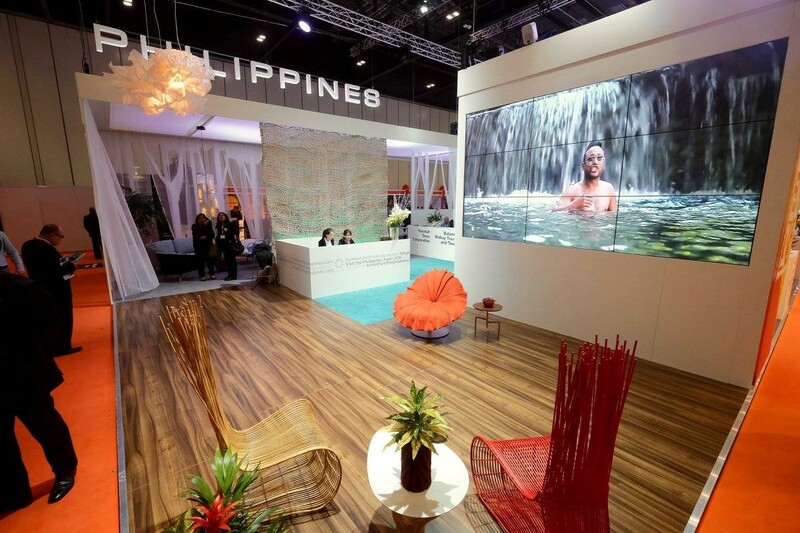 The Philippines will have its own stand in the Asia Pacific region (AS800) and will be attended by 45 travel industry partners representing 31 establishments plus key officials and staff. The country will also showcase cocktail nights in their stand and a full cultural show on the last night to celebrate new businesses and thank its industry partners. 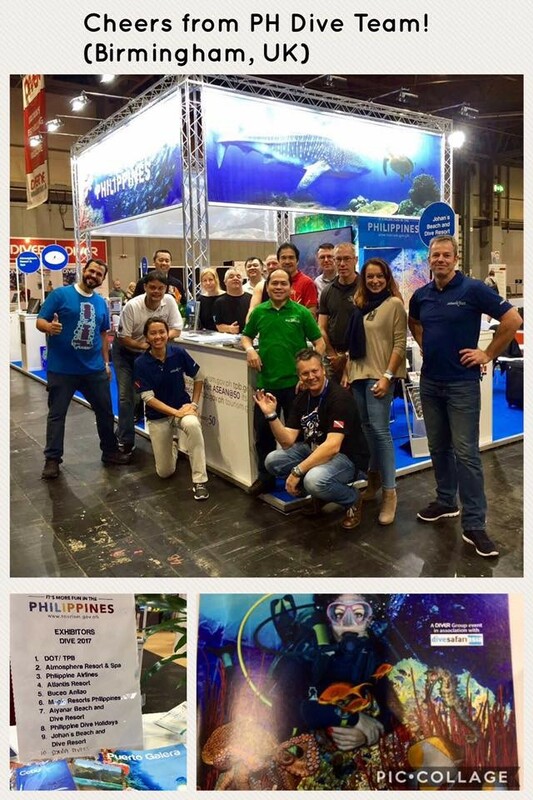 On October 21-22, 2017, the Philippines participated in the largest Dive Birmingham, the largest dive consumer show in the United Kingdom. Being an archipelago and located in the center of the Coral Triangle, the Philippines is considered as one of the “Mecca” of diving. The Philippine Department of Tourism (PDOT) was joined by Tourism Promotions Board in Manila, partners from Atmosphere Resort & Spa, Atlantis Resort in Dumaguete and Puerto Galera, Buceo Anilao, Magic Resorts in Bohol and Cebu, Aiyanar Anilao, Johan’s Beach and Dive Resort, Scandi Divers and Philippine Dive Holidays. Philippine Ambassador to the United Kingdom Antonio Lagdameo led the launch of the reactivated “Bring Home A Friend” (BHAF) Campaign of the Philippine Department of Tourism (PDOT) in a festive summer atmosphere held at the Millennium Gloucester Hotel in London on October 17, 2017. The hotel’s Conservatory Hall was packed with excited and most important travel influencers from various Filipino-British communities and associations, media supporters, as well as officials from the Philippine Embassy and attached agencies in UK, amidst the rainy and cold autumn weather in London. 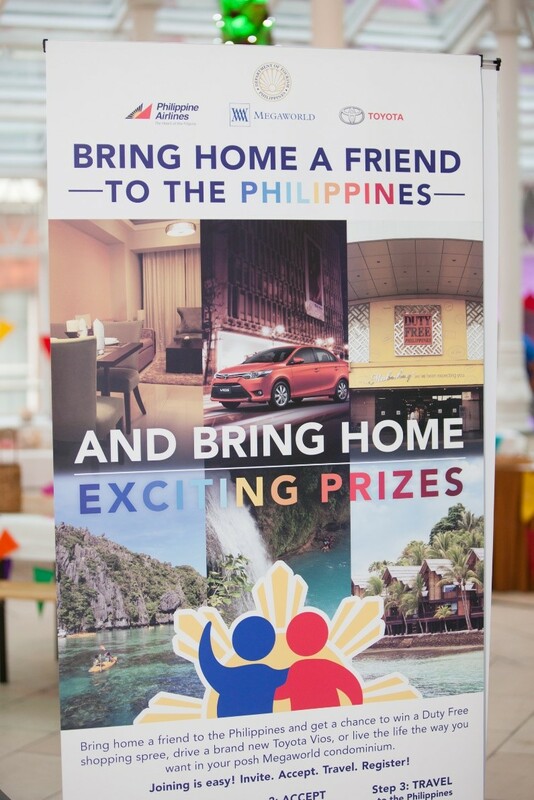 The BHAF is a rewards program which seeks to promote travel to the Philippines by encouraging Filipinos or expatriates in the Philippines to invite friends from abroad with the lure of prizes for both “sponsor” and “invitee”. By simply following four simple steps: Invite, Accept, Travel and Register, any eligible ‘sponsor’ and ‘invitee’ can join. Program mechanics are available at the www.bringhomeafriend.online. PDOT Secretary Wanda Teo initially opened the BHAF Campaign during the grand launch staged at the Newport Mall, Resorts World Manila last October 15, 2017. In her speech, Secretary Teo acknowledged the widely successful incentive travel program which was first launched in 1994 by former Tourism Secretary Mina Gabor. “Bring Home a Friend is our shout-out to the world to come and see the Philippines: a country of diverse cultures, rich traditions, and unrivalled biodiversity,” Secretary Teo added. London is one of the eight global cities, and the only post in Europe selected by PDOT to launch the BHAF Campaign. UK is the number 1 country market in terms of visitor arrivals and also the top source of overseas Filipino remittances to the Philippines out of Europe. Apart from announcing the BHAF Campaign mechanics and competition grand prizes which include a condominium worth P7M from Megaworld, a brand new car from Toyota, and shopping money worth P200,000 from the Duty Free Shop Philippines, among others, the PDOT London Team also raffled off special prizes for the attendees of the launch night featuring free holiday to the Philippines with international and domestic tickets sponsored by the Philippines Airlines, and hotel accommodations at the Belmont Hotel at Resorts World Manila. STA Travel has been crowned the Best Youth Travel Agent in the world, after winning the category and scooping the overall award at the Global Youth Travel Awards ceremony in Montreal. Voted for by the public, STA Travel CEO John Constable said it was an amazing feeling to be recognised by young travellers everywhere. “I’m very grateful to the people who voted for us,” he said. This is the third time that STA Travel has claimed Best Youth Travel Award at the GYTA. The world’s largest student and youth travel company, STA Travel also won Best Marketing Campaign for its pioneering Philippines Unplugged campaign in partnership with Tourism Philippines. 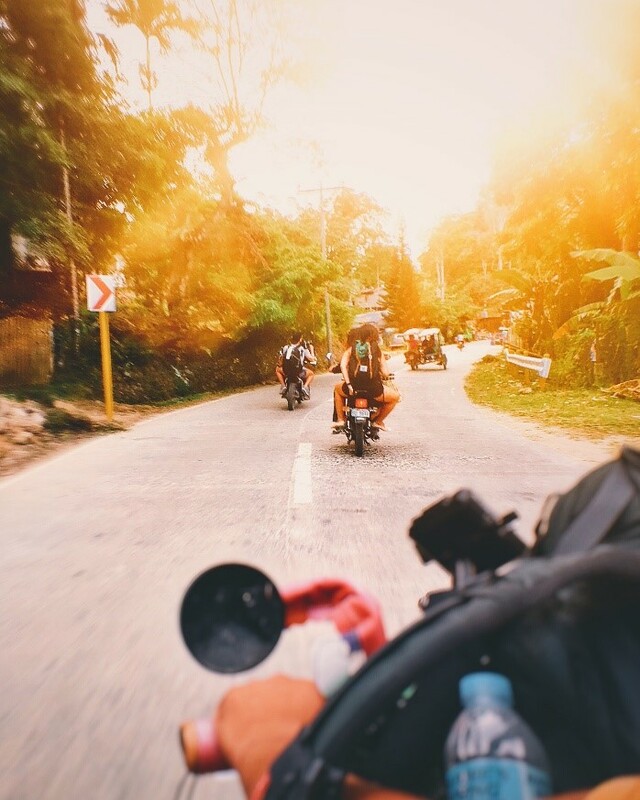 STA Travel’s winning marketing campaign shines the spotlight on the Philippines and documents STA Travel Sounds’ band Skinny Living on a journey through the island province of Palawan. Philippines Unplugged offers a fresh and original perspective on the Philippines, presenting music, travel and culture in a way Millennials and Generation Z can relate to. To watch the six-part series click here. Now in its seventh year, the Global Youth Travel Awards is held annually at the World Youth and Student Travel Conference and recognises outstanding performers in the travel industry. The south of Luzon Island is one of the well-known locations for macro and muck diving in the Philippines. 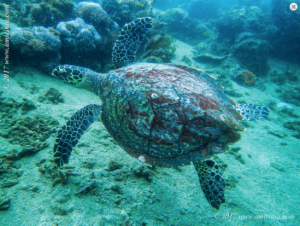 Its close proximity to the capital Manila makes this part of peninsula more popular and advantageous for the dive lovers. When it comes to diving, it is very important to choose a diving site which is not only fully equipped but also provides a comfortable and relaxing environment for divers. 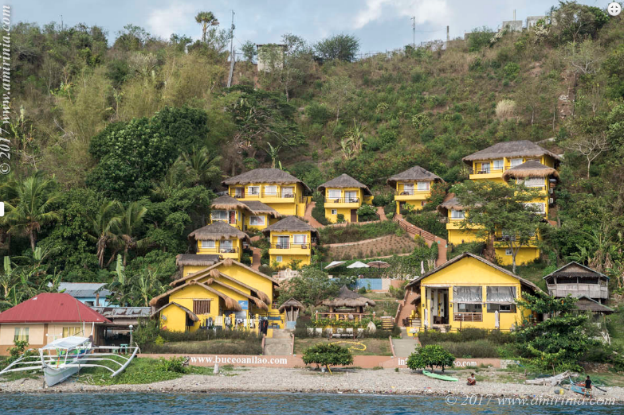 The Buceo Anilao Beach & Dive Resort is set on a steep hill next to the small village of Sitio Balanoy in Batangas province. Its location is seven kilometres from the town of Mabini and one hundred and twenty-three kilometres from Ninoy Aquino International Airport in Manila. It is an easy and convenient drive and usually takes two and half hour to three hours to drive from Manila to the resort. That estimate is depending on the traffic. Read more on the Silver Travel Advisor website.